We provide an array of Architectural Designing Services to our esteemed clients in Delhi/ NCR and are highly regarded for the same. We have attained expertise in providing architecture related services such as 3D mapping and Drafting to the people of Noida and Bhiwandi. We at Property Shoppe endeavor at every step to bring for our clients an extraordinary experience in their construction venture. We have a team of highly qualified experts who provide optimum solutions to people in conformity with the state of the art. The best part with our services is that we make a great blend of conventional and the contemporary while providing services to our valued clients. As a result, we have gained high esteem in the field and we always put in dedicated effort to provide optimum solutions to our clients which gives them full satisfaction. 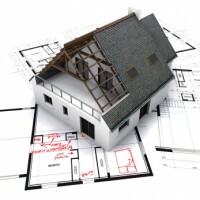 Our team of proficient and resourceful Architect Designer, surveyors will ensure you can avail the appropriate architectural assistance at competitive rates.